If you are starting to see that there are signs pointing to a potential septic system failure, you need to think about addressing it as soon as possible. Schleg Valley Construction is available to help you as a number one choice in a septic repair service in Bryant. Not only can we be there to help you with any repairs that you may need, but we offer a whole host of professional septic services. You could begin to notice terrible odors when you are facing a sewage backup. 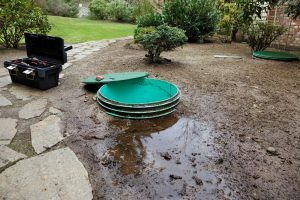 If you begin to notice the foul odors or you see that there are any wet spots around the septic tank or drain field area, there could be some sort of leak. By the same token, there could be lush vegetation that starts to grow as another indication that you need to have someone look at your septic tank system. If you end up noticing that your drains are slow to get rid of water or the toilets are not working like they should be, it could be another indication that you have to have some repairs done. There could also be some parts that could help by simply having them replaced. At Schleg Valley Construction, we have all of the skill and manpower to work on your septic tank system so that we can restore it to proper function. Schleg Valley Construction has been working with many people in and around the Bryant area to offer quality repairs, septic maintenance, and advice. We are highly-trained, certified, and we look forward to bringing you reliable repairs that are well within your price range. It is always our goal to make sure that you are happy with all of the work that we have performed. It is important to work with professionals when looking for a septic repair service in Bryant. Call Schleg Valley Construction at (425)312-6750!